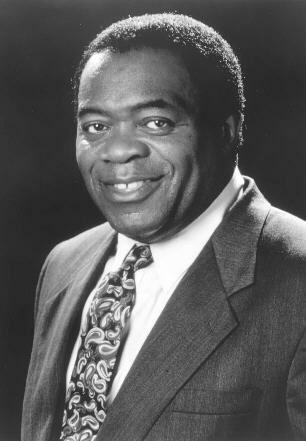 Yaphet Kotto started taking acting classes at 16. He made his professional stage debut at 19 as Othello, and understudied James Earl Jones in a 1964 production of The Blood Knot. His first bow on Broadway came in 1965, in The Zulu and the Zayda with Ossie Davis and Lou Gossett, Jr., and in 1969 he replaced Jones in the Tony-winning The Great White Hope with Ned Beatty. Dissatisfied with the movie roles being offered black actors, he turned down several chances to begin his film career, preferring to stay on stage. His first movie was 1964's Nothing But A Man with Ivan Dixon, a low-budget small-scale drama now justifiably considered a classic of black American cinema, and a few years later he won rave reviews killing a cop in The Liberation of L. B. Jones with Lee J. Cobb. In Alien with Sigourney Weaver, he played a worker in the ship's underbelly who complained of receiving only half pay, until more serious problems emerged. In the James Bond adventure Live and Let Die he played the drug-dealing villain Mr Big, who met an explosive end. He played Idi Amin in Raid on Entebbe, a dead serious yet hilarious federal agent in Midnight Run with Robert De Niro and Charles Grodin, and he delivered perhaps his best performance in the riveting Blue Collar with Richard Pryor and Harvey Keitel. He wrote, directed, and starred as a heroic motorcycle cop in the little-seen Speed Limit 65, a low-budget 1972 film also known as The Limit, co-starring Ted Cassidy as a gang leader who wants to go straight. Kotto also wrote a 1997 episode of Homicide, where an armed suspect took refuge in a house that was headquarters for the African Revival Movement. In his first TV series, 1983's For Love and Honor, Kotto played a bitter drill sergeant who had once been a boxer, and Keenen Ivory Wayans was the raw training camp recruit who wanted to learn the sport. It was not a comedy, and it was not long before it was cancelled. Kotto had more success as Lt Al Giardello, the gruff, pasta-loving commanding officer in the long-running Homicide: Life on the Street with Richard Belzer and Andre Braugher. Both his parents were African Jews, and Kotto is devoutly Jewish. For his autobiography, Royalty, Kotto researched his ancestry and determined that he is a Crown Prince of the family that ruled Cameroon's Douala region in the late 19th century.